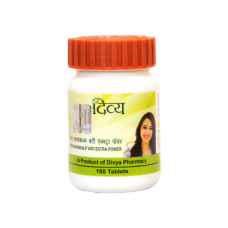 Divya Kayakalp Vati Extra Power detoxifies your blood and cures skin ailments. Contaminated and unbalanced diet or harsh environment makes our skin dull and damaged thus leading to skin ailments like pimples, acne. 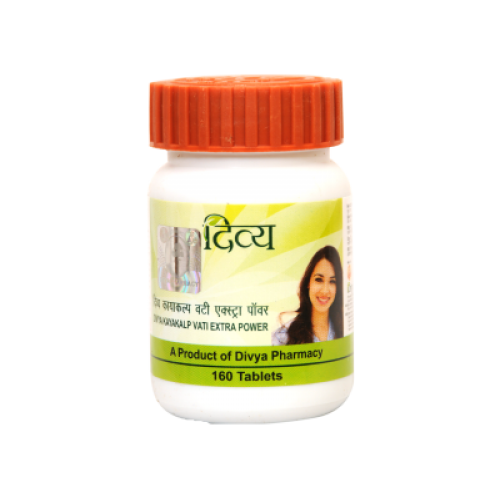 The herbal extracts in Divya Kayakalp Vati Extra Power help re-establish the balance of elements in your body and give you glowing skin. Serious skin problems like eczema, scabies, leprosy, leukoderma that damage your skin are cured by Divya Kayakalp Vati Extra Power. It helps to regenerate skin pigmentation, removes marks and soothes itching or burning sensation. Divya Kayakalp Vati Extra Power brings to you the best herbal combination to cleanse toxins, eliminates microorganisms, keeps you healthy within and gives you radiant skin on the outside.